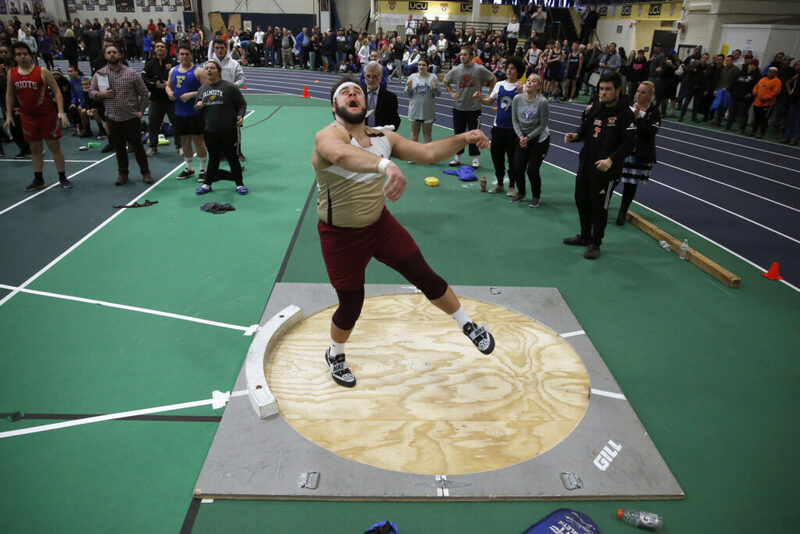 Thornton Academy's Jason Montano winds up for his fourth attempt in the shot put on Saturday during the SMAA indoor track championships. 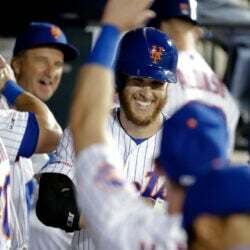 Montano's set a new record of 63-foot on his first throw. 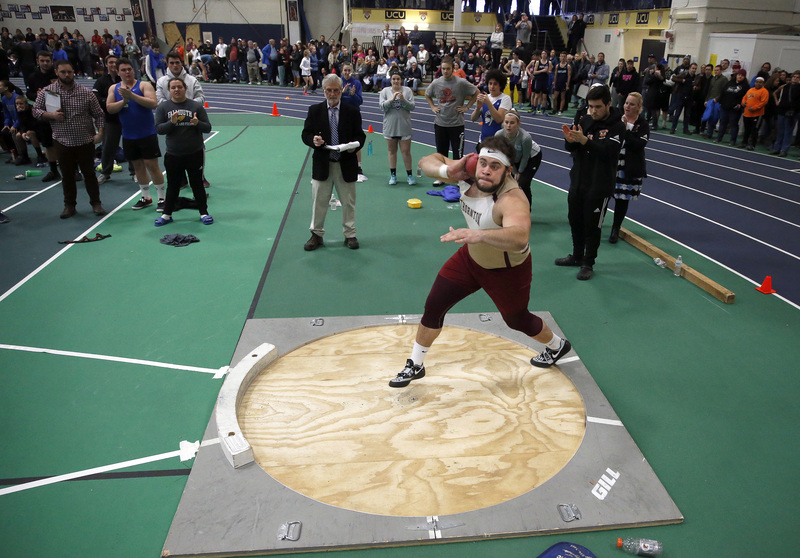 Thornton Academy's Jason Montano lets go on his fourth attempt at the shotput on Saturday during the SMAA indoor track championships. 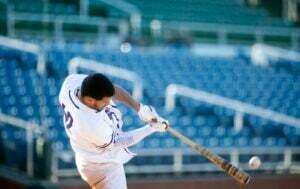 Montano's set a new record of 63-foot on his first throw. 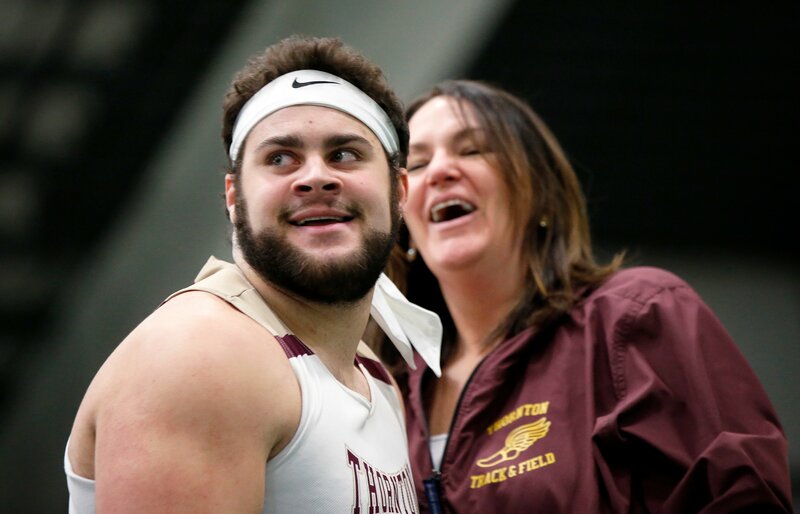 Thornton Academy's Jason Montano and Coach Lisa Huntress-Capozzi rejoices as judges measure Montano's record-smashing 63-foot throw in the sho put on Saturday during the SMAA indoor track championships in Gorham. 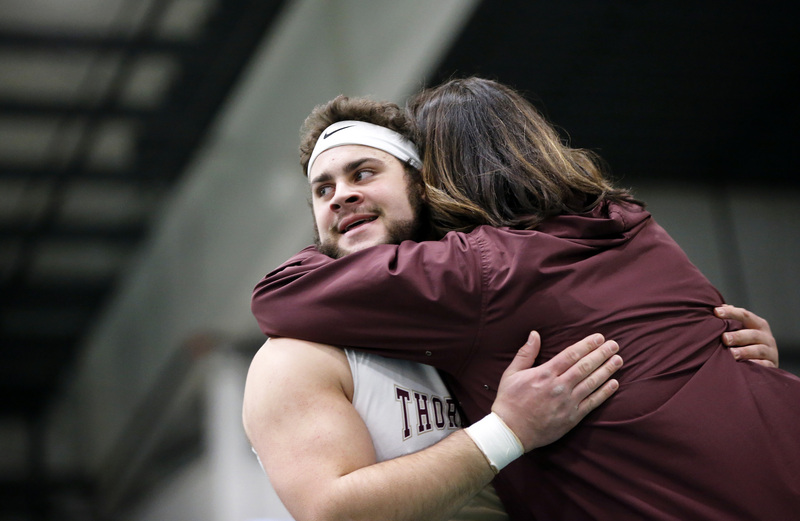 Thornton Academy Coach Lisa Huntress-Capozzi congratulates Jason Montano after his record-smashing 63-foot throw in the shot-put throw on Saturday during the SMAA indoor track championships in Gorham. 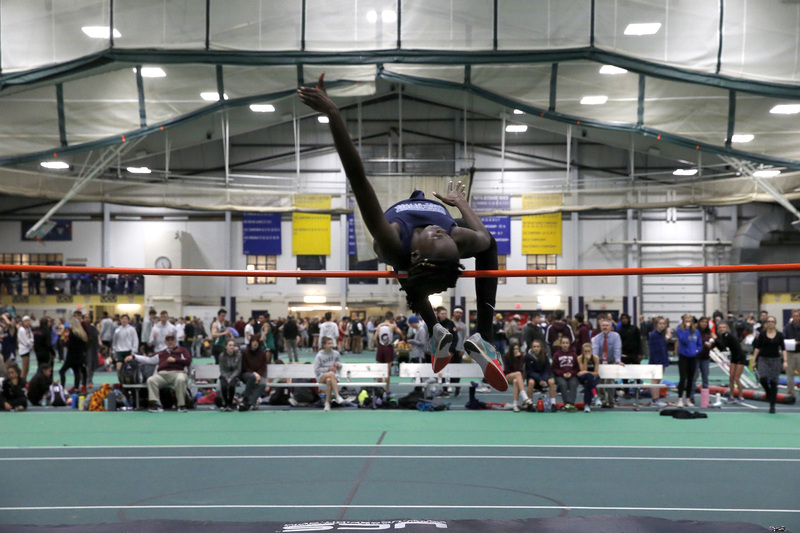 Westbrook's Nyagoa Bayak clears the bar at 5-feet, 9-inches during the senior division high jump at the SMAA indoor track championships on Saturday in Gorham. She went on to win the event with a lead of 5-11. 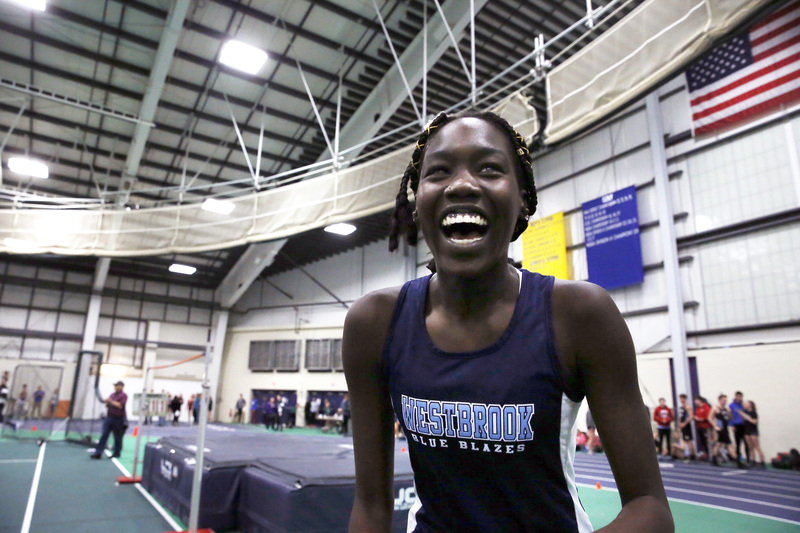 GORHAM, ME - FEBRUARY 9: Westbrook's Nyagoa Bayak smiles after clearing 5-11 during the senior division high jump on Saturday during the SMAA indoor track championships in Gorham. 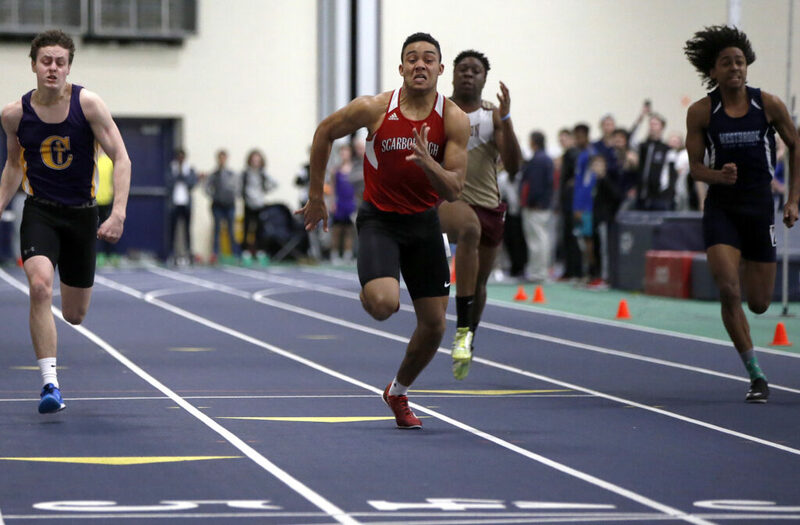 Scarborough's Jarett Flaker sets a new record in the 55-meter dash with a time of 6.48 seconds on Saturday during the SMAA indoor track championships in Gorham. 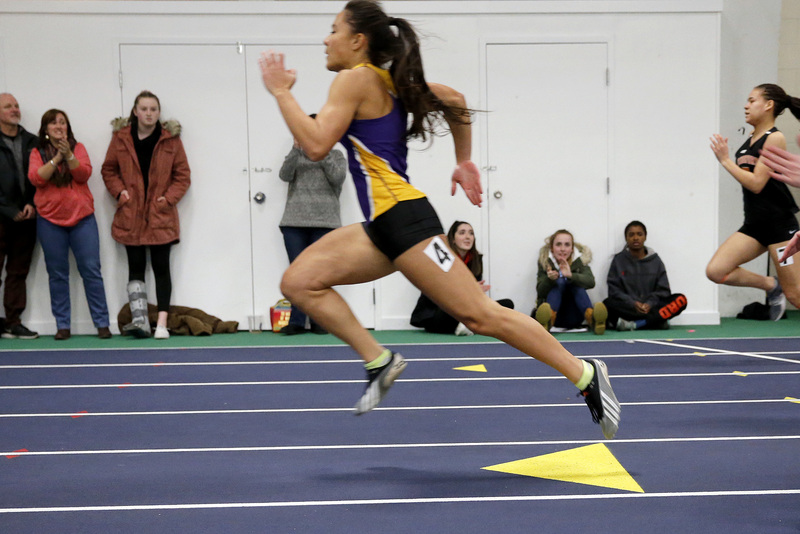 Cheverus' Victoria Bossong takes a big lead to win the 55-meter dash on Saturday during the SMAA indoor track championships. 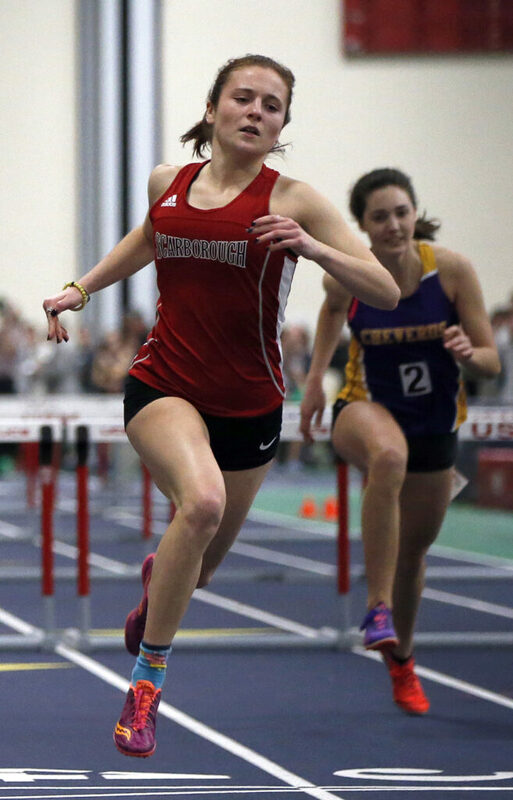 Scarborough's Emily Labbe wins the senior division 55 hurdles in a time of 8.43 seconds on Saturday at the SMAA indoor track championships in Gorham. 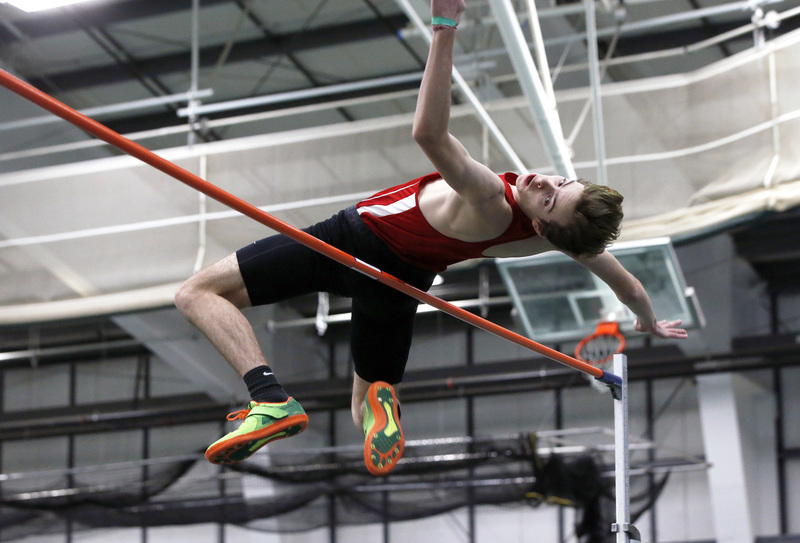 Scarborough's Anthony Clavette tries to clear 6-4 in the senior division high jump, but falls just short. Instead, Clavette took first place with 6-2 on Saturday during the SMAA indoor track championships in Gorham.